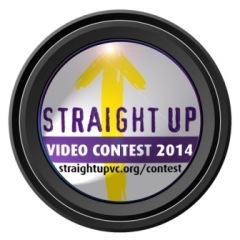 Straight Up, the Ventura County-wide youth advocacy project, has opened its most recent video contest for submissions from young people in Ventura County. Entrants can choose from topics on underage and binge drinking, impaired driving, prescription drug abuse (and the links to heroin use) and the impact to the adolescent brain with marijuana use. 2011-2012 California Healthy Kids Survey results showed that Ventura County youth continue to abuse prescription drugs and use heroin and marijuana. For example, 20% of 11th graders and 14% of 9th graders have used prescription pain medications to get high. Marijuana use doubled for 5th graders between 2009 and 2012. Heroin continues to be an escalating problem -- several young people in Simi Valley and elsewhere have fatally overdosed in recent years. Often, the problem starts with prescription drug abuse with the user "graduating" to heroin for similar effects. Alcohol use and impaired driving also continue to be a local issue. In Ventura County, alcohol use is highest among 18- to 20-year-olds not old enough to legally purchase it, and is a factor in nearly half of all teen automobile crashes. The contest is open to Ventura County young people 12-25 years of age who live or go to school within Ventura County. Short videos (30-90 seconds) are preferred, but longer videos are welcome as well. A grand prize of $500 will be awarded, as well as several runner-up prizes. Entries must be received by Friday, May 16, 2014. Winners will be announced on Friday, May 30. Downloadable rules and guidelines can be found at www.straightupvc.org/contest. Information sessions, training and equipment lending can be made available. Call 805.647.4622 with any questions. Straight Up Ventura County (a project of Ventura County Behavioral Health Department Alcohol and Drug Programs) works closely with young people to raise awareness and create change around the issues of alcohol and drug abuse. Advocacy training, reality improv workshops and video projects are some of the way youth can get engaged and become empowered.